Spanish travel writers with Lisa Heffernan, Tourism Ireland (right), at Lismore Castle in County Waterford. Top travel and lifestyle journalists from a number of high profile Spanish media outlets visited County Waterford as guests of Tourism Ireland and Fáilte Ireland last weekend. They flew to Cork with Aer Lingus from Barcelona and enjoyed the Ardmore Cliff Walk, followed by lunch in the Cliff House Hotel. They also visited Lismore Castle Gardens and had dinner at Foley's on the Mall. They stayed in Ballyrafter House Hotel in Lismore. The aim of their visit was to highlight the wide range of things to see and do in this part of Ireland for Spanish holidaymakers, as well as ease of access from Catalonia to Ireland’s Ancient East via the direct flights into Cork. Spanish journalists with Lisa Heffernan, Tourism Ireland (right), enjoying the cliff walk in Ardmore. Spain is an important market for tourism to the island of Ireland and travel by Spaniards to Ireland has grown significantly over the past 17 years – going from just 90,000 Spanish visitors in 2000 to a record 435,000 in 2017. Tourism Ireland is determined to ensure that growth continues and is rolling out a busy programme of promotions right throughout 2018. 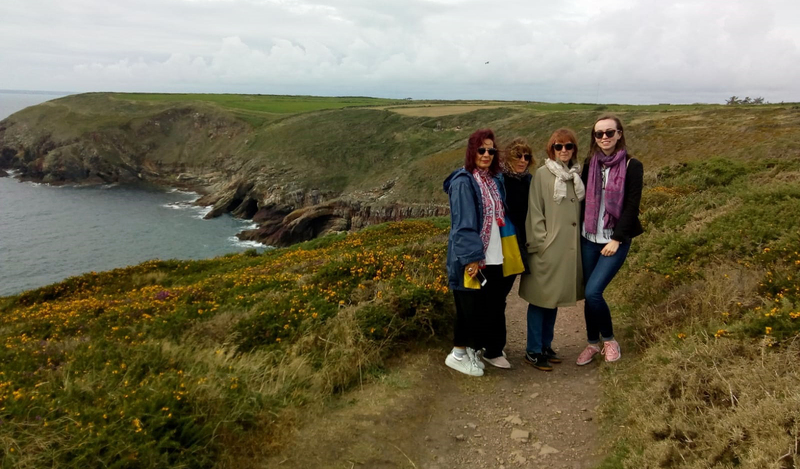 Barbara Wood, Tourism Ireland's Spain manager, said: “Tourism Ireland was delighted to invite these Spanish journalists to visit County Waterford and Ireland’s Ancient East, to experience for themselves some of the many great things to see and do here.